You Notice Mold Growth: This is a big problem in Florida because we tend to deal with excess amounts of humidity. If you’re seeing mold growth in high-risk areas like your bathroom or laundry room you need to contact a professional sooner than later. Mold growth is something you should never procrastinate with because it can post a huge risk to your health. There’s a Lot of Debris Floating Around: There’s a lot of problems that occur in your home just due to routine wear and tear with your ductwork. Over time, you might notice that your air ducts have accumulated enough dust and debris to cause an airflow restriction. If this is the case, then you need to make sure that your air vents are cleaned. When your air vents are restricted your HVAC system will have to work much harder to keep your home comfortable. This can wear down your HVAC system a lot faster and increase your energy bills in the process. It Feels Like Allergy Season Year-Round: Starting to worry that you might be allergic to your home? This can be a big problem for homeowners here in Florida because so many of our homes are heavily insulated to keep out the excess heat and humidity of our climate. While tightly sealed homes are great for energy efficiency, problems arise when it comes to allergens. An air duct cleaning will rid your home of allergens deposited deeply within your ductwork and help you and your family members breathe easier. Your Home is Dusty: If you feel like you need to dust your home way more often than you should then you should contact our professional team of indoor air quality technicians. A dusty home is a symptom of dirty ductwork. 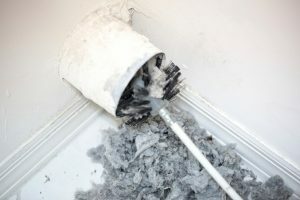 The best way to rid your home of this problem is by scheduling a duct cleaning. If you’re struggling with the indoor air quality in your home, make sure that you contact Climate Masters today to schedule an appointment. High indoor air quality is the easiest way to improve your overall home quality and the health of your family members.